Whether you’re looking for an inexpensive Christmas gift for your spouse or want to get something that goes well with all the Christmas tree decorations you’ve been gathering for these past few weeks, then you’re in the right place. Here are some popular choices when it comes to artificial trees which aren’t just affordable, but also an environmentally friendly choice since no real trees will have to be cut for just two weeks’ worth of pleasure. Plus, you’ll be able to use any of these every year. With the KING OF CHRISTMAS model, you get a rich and beautiful tree with heavily flocked tips which looks good both with and without any decorations. The tree comes in three hinged sections which are easy to install. The tree is mounted on a metal stand that’s solid and stable so you won’t have any problems for the entire season. 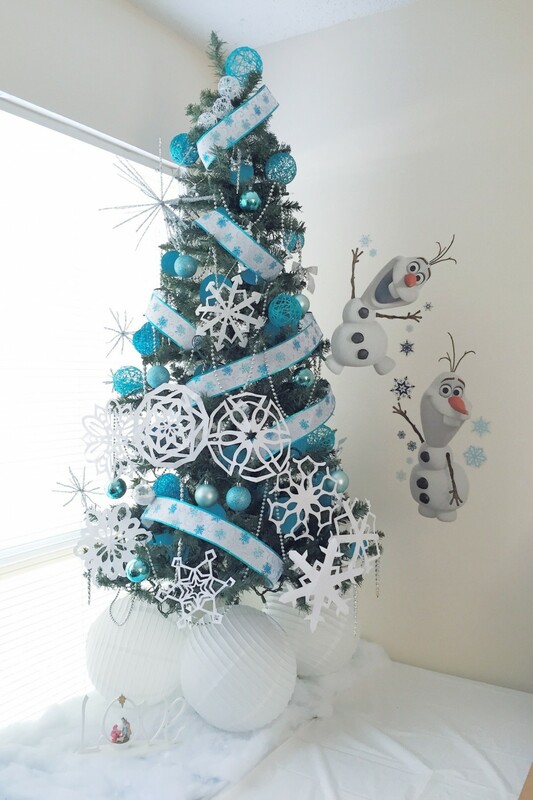 The tree is made of sturdy materials such as PE and PVC which will last for a long time. Not only that, but these materials are also flame retardant which means there’s no risk even if you put lots of lighting installations on it. The Homegear Deluxe Artificial is a small Christmas tree that has an amazing look. The plastic stand is stable while the main column is solid enough. You get 700 tips that are made of PVC which hold well to most decorations you may wish to put on them. The tree is 6 feet tall and 3.29 feet wide so it is large enough even for a spacious place such as your living room. You can also use it outdoors and leave decorations on for the entire night without fear, as the materials it is made of are flame retardant. If you want a variation from the standard Christmas tree, then you would surely find this product appealing. The PatioBuddy Cherry tree comes filled with LED blossoms that will beautify any room or patio. The light bulbs are energy-saving and rated at up to 30,000 hours of service life. The branches are flexible which means that you can mold and shape this cherry tree in any way you want to. After the holiday season is over, you can simply fold it and put it away until next year. The warm lights emitted by the LEDs will certainly soothe and calm, creating a pleasant atmosphere both you and your family deserve. The Vickerman Carmel Pine is a small artificial tree that can fit just about anywhere in your home or garden. The tree is 2 feet high, it has a 22-inch base diameter, and it features 480 branch tips which should allow you to use any and all decorations you might have inside the house. This beautiful Christmas stand comes already decorated with mini pine cones which give it a friendly and cuddly look. You also get a burlap base that’s connected to the tree which will ensure that it stays stable no matter how many things you hang on its branches. This fir tree is like no other. The Lightshare Snowy Fir Tree comes with a minimalist design that’s bound to impress. Standing tall at 6 feet, it is large enough for just about any use you have in mind, and its 16 feet of branches give you plenty support to hang lots of colorful decorations. However, you don’t even have to use decorations, as you get 144 LEDs which create a warm and calming atmosphere that will boost the mood of everyone in the house. The light bulbs are advertised at a service life of up to 30,000 hours which means you’ll be able to use it for many years. Nothing spells Christmas better than a beautiful tree to adorn your living room. Everyone will gather around it for gifts or simply to enjoy the beautiful lights while sharing an unforgettable evening with their loved ones. With the season approaching, you are probably getting cold feet a little, just thinking about how much shopping it will take you to find that special Christmas tree that will amaze everyone with its uniqueness. Such a feat is not easy to undertake, and you are probably thinking about enlisting some help, so you don’t end up with a tree that looks pretty much like anyone else’s. Cool Christmas trees may not come cheap, either, and that can be enough to put you down. Do not worry, though. We are here to help you navigate through the numerous options available, so you don’t have to spend too much of the holiday season just shopping for the tree. While it is imperative and high on your shopping list, without a doubt, you still need to take care of many other things like food, gifts, and other decorations. With our help, you will be able to narrow down your search and find that amazing Christmas tree that your family will love. We know that there are many Christmas trees available for sale, but we also know that you do not want just something that is run-of-the-mill, cookie cutter, and unexciting. We are here to help you with ideas that will help you make your tree stand out this season, either because you want your family to remember it, or just to make the neighbors envy you a little bit. If you browse cool Christmas trees ideas on the World Wide Web, you will see that many people have interesting takes on how their tree should look like. The first considerations are the most important, though, especially if you don’t want to end up with a tree on your hands that does not fit in your home, or looks like it doesn’t belong to the layout you have already thought of. The right size is important, as is the right shape. While the first may not need any further explanations since you may find particularly amusing having to deal with a tree that is too large for your living room, the latter needs a little bit of extra info. If you’re going for an artificial tree, the main issue with such a choice is that it should mimic as much as possible the appearance of a natural tree. You will notice that there are a few choices to pick from. Some trees look bulky and have a lot of branches, while others are thin and tall. Your choice depends on what kind of layout you have already chosen for your living room, but, ultimately, you should follow what your heart desires. The tree you will love seeing in the pictures taken during this Christmas should be able to make you fall in love over and over again. If you decide in favor of an artificial tree, you should be aware that many come pre-decorated, which means that you do not have to deal with the usual tangle of wires and whatnot, until you manage to get the tree to look as you would like it to look like. 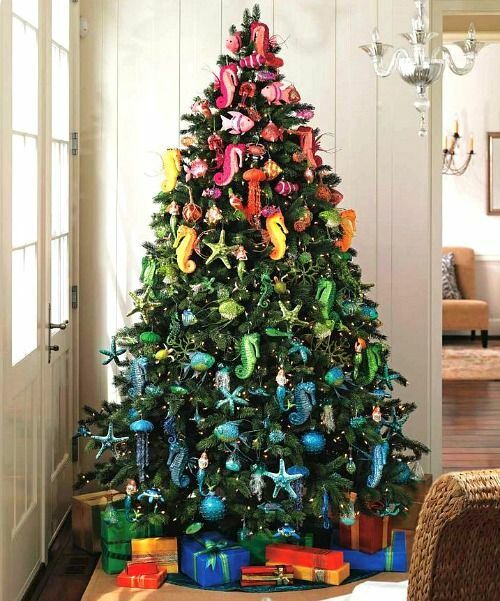 There are many cool Christmas tree designs you can choose from if you prefer to get one that comes pre-decorated. Remember to browse for a while until you decide to make a purchase. Especially since you pick a pre-decorated model, the chances are that model will be sold to more than just one client. It can be a good idea to search for models that are not exposed as being the most popular, or you can choose an idea that you have never tried before. For instance, choose a single color for the garlands that you have never chosen before. While you may not want everyone to have a shock when seeing a pink tree, there are shades of golden and blue you can experiment with. As long as you do a bit of shopping around, you will be able to tell which tree appeals to your sense of aesthetics most. If you want a tree that does not look cheap, you should consider getting one that is made from better materials. PVC and PE are two common materials used for Christmas tree, and each presents certain advantages. Here are some ideas to get you started so that your tree will stand out. PVC has the main advantage the fact that its color does not fade. Your tree will display the same beautiful dark green color, and you will be able to reuse it next year. Because it is fire resistant, it is a safe alternative to natural trees and PE trees as well. Do keep in mind, however, that the needles need to be wired to the branches, so you will get that fake look you may want to stay clear of. PE is a better choice from this point of view, as the integrated needles do not give away the same fake look. If you’re unsure what to get, check trees that are made from a combination of both, to enjoy all the benefits. You will not get cool artificial Christmas trees without proper looking stands. The stand may not seem that important, but in its way, it plays a part. This section of the tree must be reliable, to prevent the tree from tipping over and it must look good, too. The last thing you want is a tree that gives away that plastic feel only because the stand was overlooked when you browsed through different models. For extra sturdiness, consider a stand with a metal core. This will not allow your tree to topple over and create an unpleasant surprise to all the guests present. Plus, a robust stand means you will get to reuse the tree next year.